Each charter aboard the “Honey” is custom tailored to you. INCLUDES: class 130 & 50 class fishing equipment, light snacks, water, and ice. 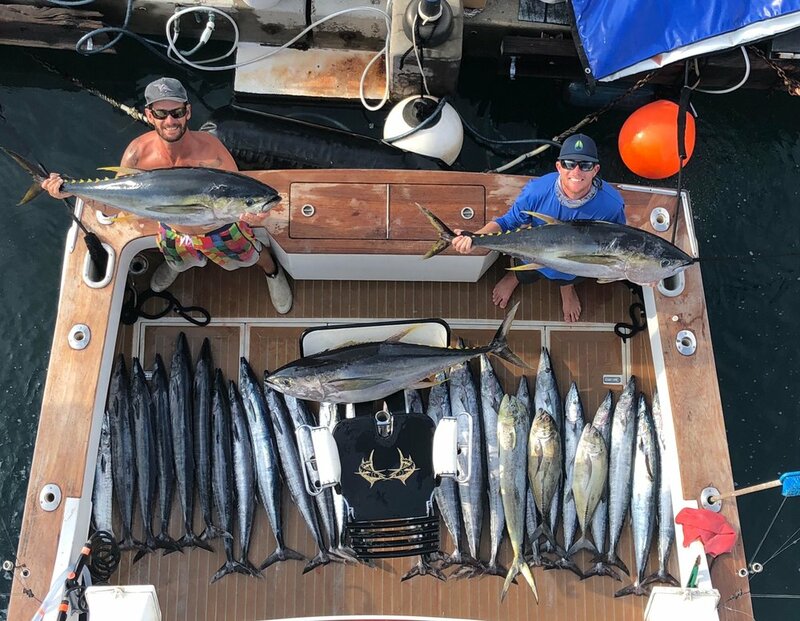 Kona is one of the best fishing locations in the world and is home to one of the most exciting forms of fishing—Big Island of Hawaii Sports Fishing. This charter can be booked for a nearly full day of fishing. 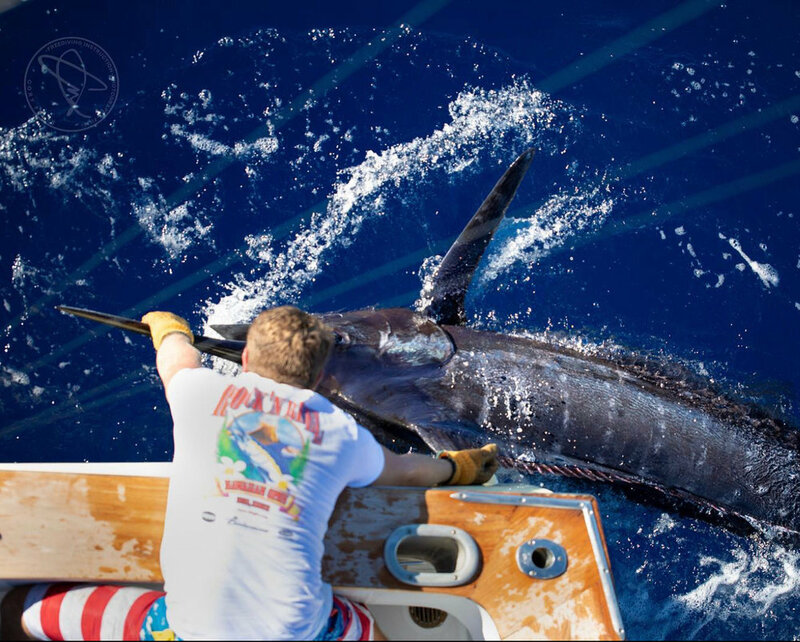 Join our crew to sail the beautiful Hawaiian waters and reel in an unforgettable catch. For those who want the experience but not the time commitment, we offer our fishing charters for half the day. Still plenty of time to reel in the catch of a lifetime! On this trip we fish and snorkel in Kealakekua Bay. We are the only operator on the Big Island that allows you to do both on the same charter. 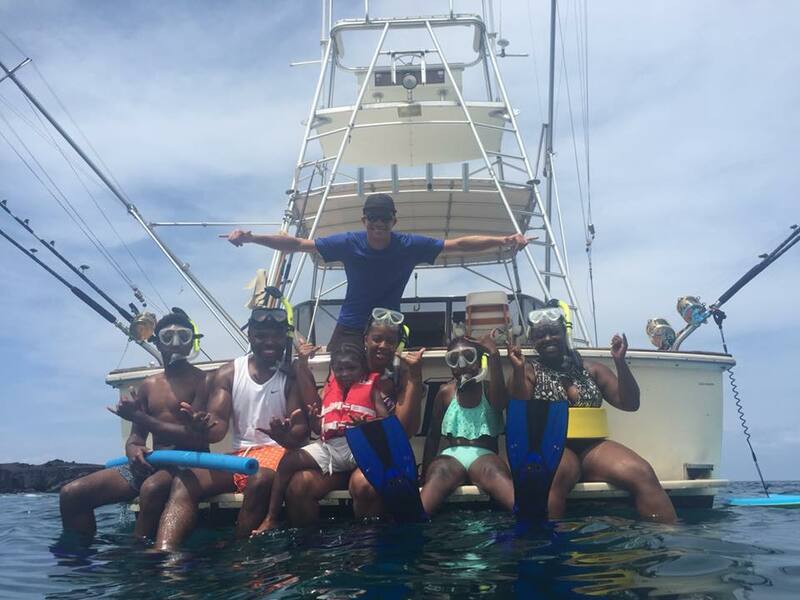 We offer half and 3/4 day snorkel and fishing charters. At Kona Sea Adventures we offer the best fishing and snorkeling charters on the Big Island of Hawaii. If you are searching for an all-inclusive, custom tailored private charter, look no further. With us, you will experience the best that Hawaii has to offer off the Kona coast. Our crew has a combination of 20 years of experience as Captains, fishing guides, and dive instructors in Hawaiian waters. Join us on our 40 foot air conditioned and custom built Buddy Davis, considered the best in its class. At Kona Sea Adventures you will be greeted as friends but will leave feeling like family. We are locally owned and operated which means that the quality of your ocean experience is our highest priority. It is our task at Kona Sea Adventures to deliver the best first-rate customer service possible. Join us to see why Kona Sea Adventures is the best private charter company in Kona!